Streaming Media East 2019, May 7-8 at the New York Hilton Midtown, brings you the best in streaming media practitioners and consultants as well as the leading voices in the industry. At Streaming Media East you will find information on all the latest ideas, innovations, technologies, services, and solutions from the world’s leading companies; all in one place. In addition, Streaming Media East 2019 will feature the Live Streaming Summit, OTT Leadership Summit, Video Engineering Summit, and Content Delivery Summit conferences. Complimentary press registration is available to persons, such as reporters, editors, and correspondents, who serve in a professional editorial capacity for a regularly published periodical, news service, or the broadcast media related to the field. It is not available to advertising salespersons, circulation editors, or other non-editorial personnel. Note: Preconference workshops are not included with press registration, but may be registered for separately for a fee. Streaming Media East reserves the right to exclude any person or organization from its events and to revoke previously issued Streaming Media accreditation at any time. 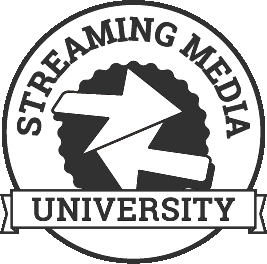 Registration at prior Streaming Media events does not guarantee approval or waive the accreditation requirement. Press registration provides access to educational sessions for Streaming Media East and must be approved in advance by Information Today, Inc.